Marble & brown trout are perhaps the most popular fish species in Slovenia. The first one is also known as the queen of the river. It’s one of the largest European salmonids and can grow up to 120 cm in length. Marble trout inhabits clear mountain brooks and rivers that flows into the Adriatic Sea. Successful fishing for the largest of marbles is in spring and in autumn, when there is a significant rise in the water level. This is the perfect time for streamer fishing. In summer months or when the water levels are normal or low, nymphing and dry flyfishing are the most suitable techniques. 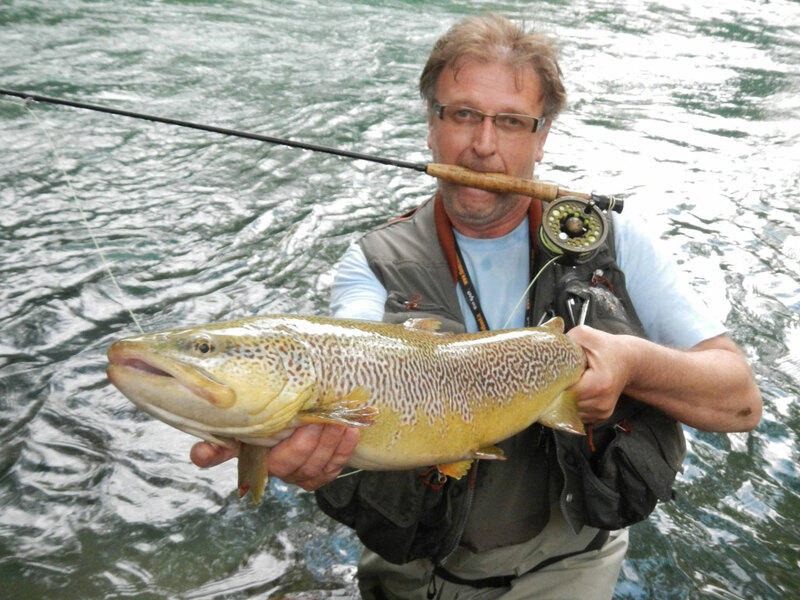 Browse through all marble trout fisheries in Slovenia (on our website)! Brown trout is abundant in the streams of the Danube basin. On average, brown trout grows up to 50 cm in length, every year several trophy specimens up to 80 cm are caught. In Slovenia, brown trout inhabits every relatively clean stream. Anglers fish them with dry flies and nymphs. When fishing on a streamer, anglers can expect bites of larger or even trophy fish. The latter live mostly in deep chalk rivers, that offers abundance of food and shelter. 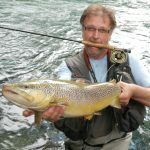 Browse through all brown trout fisheries in Slovenia (on our website)! 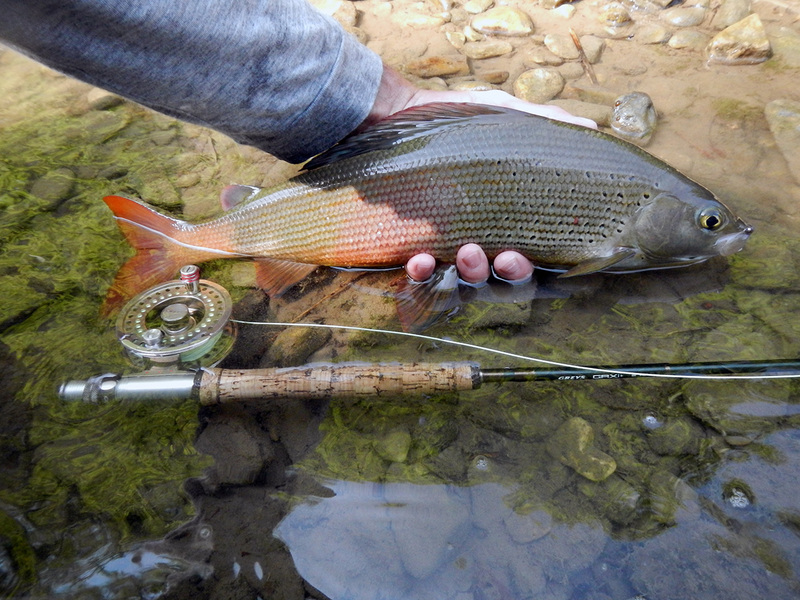 Grayling, the lady of the stream, is one of the most interesting flyfishing species in Slovenia. 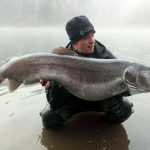 On the sunny side of the Alps, anglers usually catch specimens between 30 and 40 cm in length, often they even reach the mythical 50 cm boundary. 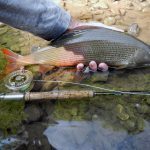 The grayling season starts on May 16th, when true flyfishing season begins. It is the time of the sun and mild weather when all living nature brimms with excitement. The best grayling flies are small nymphs in natural patterns as well as dry flies. Browse through all grayling fisheries in Slovenia (on our website)! Huchen is one of Europe’s largest freshwater salmonid species. This predatory fish is highly prized in Slovenia. It grows up to 130 cm in length, specimens that are most commonly caught with fishing tackle measure between 70 and 110 cm in length. Anglers fish them with large streamers. The season starts on October 1st (sometimes even later) and lasts untill February 14th (at some fisheries it ends even before this date). 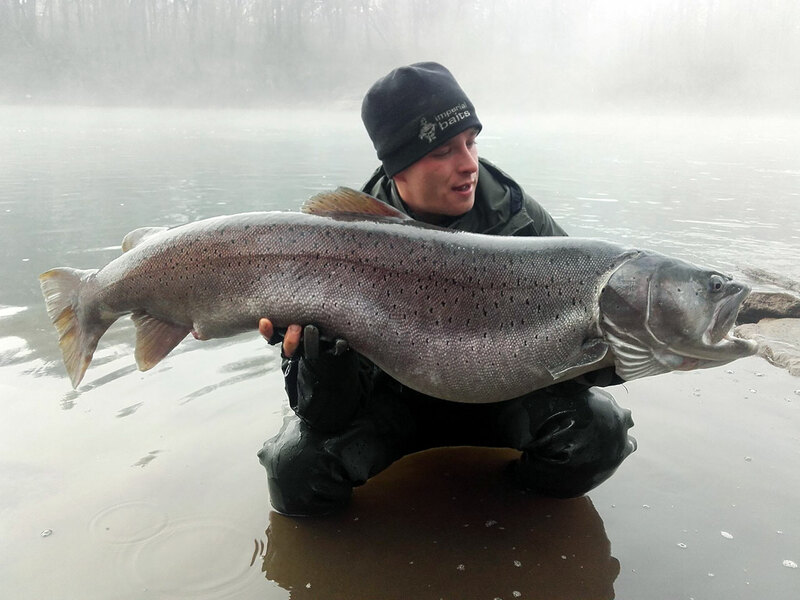 Browse through all huchen fisheries in Slovenia (on our website)!